अलोक सवाल ने एक नहीं ई नेक्स्ट मे कई चुतिया संपादक भर रखे है. सभी यूनिट के संपादको की लिस्ट बना लो. जो सब एडिटर हुआ करते थे, वो आज संपादक बना दिए गए, शर्मिष्ठा शर्मा संपादक बनाई गई है लेकिन अलोक उन्हें चलने नहीं देता. गुप्ताज़ के तलवे चाटता रहता है. कुछ संपादक तो पिछले १० साल से यहाँ जमे है. कोई चाह कर भी नहीं निकल पता. कारन शर्मिष्ठा शर्मा से सेटिंग. 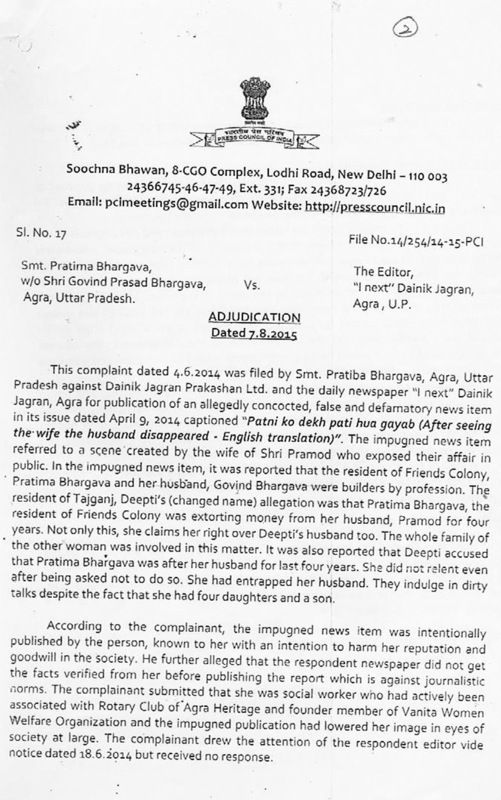 it is really disappointing to see how some people of the media seem to have totally lost their sense of responsibility and also lost all respect for the women in today’s society.i salute Mrs.Pratima Bhargava for teaching these heedless and and ruthless people (sachin vaswani) a lesson and also reminding everyone else who ought to rely on such people for any sort of work ever again in the future! Thank you Mr. Yashwant for bringing this into everyone’s notice! Congrats to Pratimaji and shame on Sachin Vasvani editor of inext Agra . Vasvani ko dainik jagran vaale jaldi se jaldi get out kare aur Vasvani ko koi bhi media vala apne yaha job nahi de…tabhi isse sharam aayegi…agar abhi bhi inext vaalo mein thodi si sharam bachi hai to is fraud news ka khandan nikaal de….